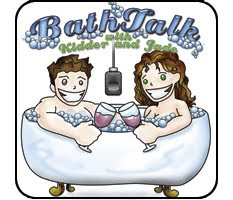 Get ready for a whole new season of BathTalk (not so) Weekly with Kidder and Jade! What has happened guys!? I have downloaded all the Bath Talk episodes, got totally into them and now they seem to gave gone down the proverbial plug hole?! Please let us know whats going on. Love The Lady Down Under.